Home / HOT ARISE TOPIC / AUSTRALIA’S ISAIAH PLACES NINTH IN EUROVISION Portugal took out the top prize with Bulgaria and Moldova coming in second and third. AUSTRALIA’S ISAIAH PLACES NINTH IN EUROVISION Portugal took out the top prize with Bulgaria and Moldova coming in second and third. 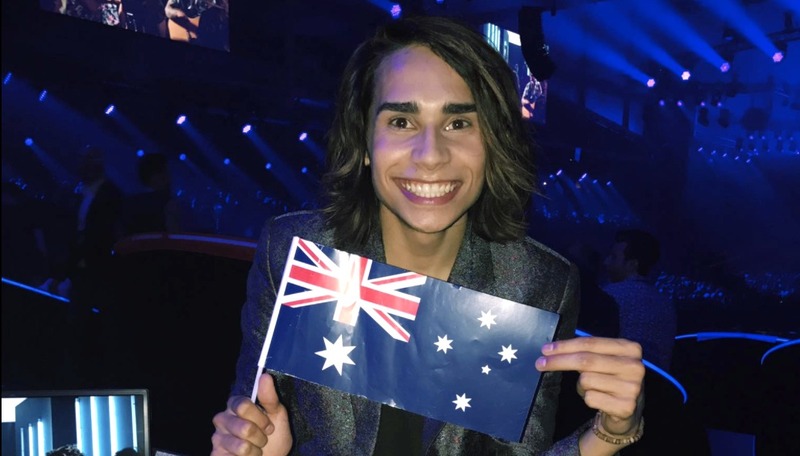 AUSTRALIA’S Isaiah places ninth in the 2017 Eurovision Grand Final overnight in Kyiv, Ukraine, after performing his song ‘Don’t Come Easy’. Portugal’s Salvador Sobral was crowned the winner with his song ‘Amar Pelos Dois’ after being awarded a combined 758 points from both the voting juries and viewing public. Isaiah said the grand final atmosphere in the arena was amazing. “I took all that energy into my performance,” he said. “I want to say a big congratulations to Salvador from Portugal, and all the incredible singers who gave it their all in the contest. Some fans had wondered whether the man who ‘flashed’ the audience draped in the Australian flag earlier in the night had hampered Isaiah’s chances at winning. During a performance by last year’s winner Jamala, Ukrainian pest Vitalii Sediuk jumped onstage and pulled his pants down while wearing the Australian flag.